How can we enjoy Desert Safari in Dubai? Do you want to get the most amazing and adventurous experience of your life? 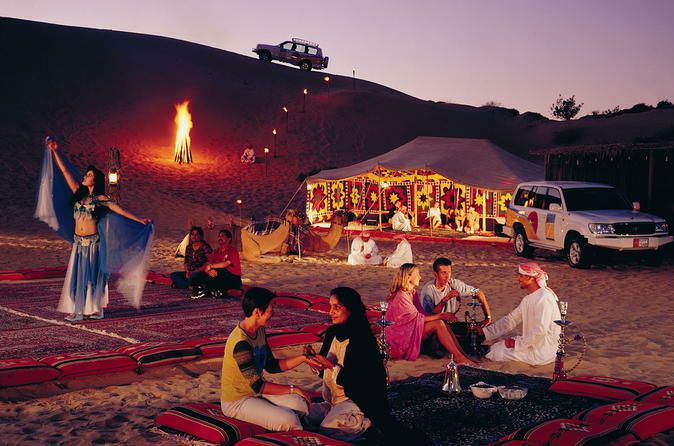 Give a try to some exhilarating activities like Dune Bashing, sand boarding, camel riding, and camps activities. 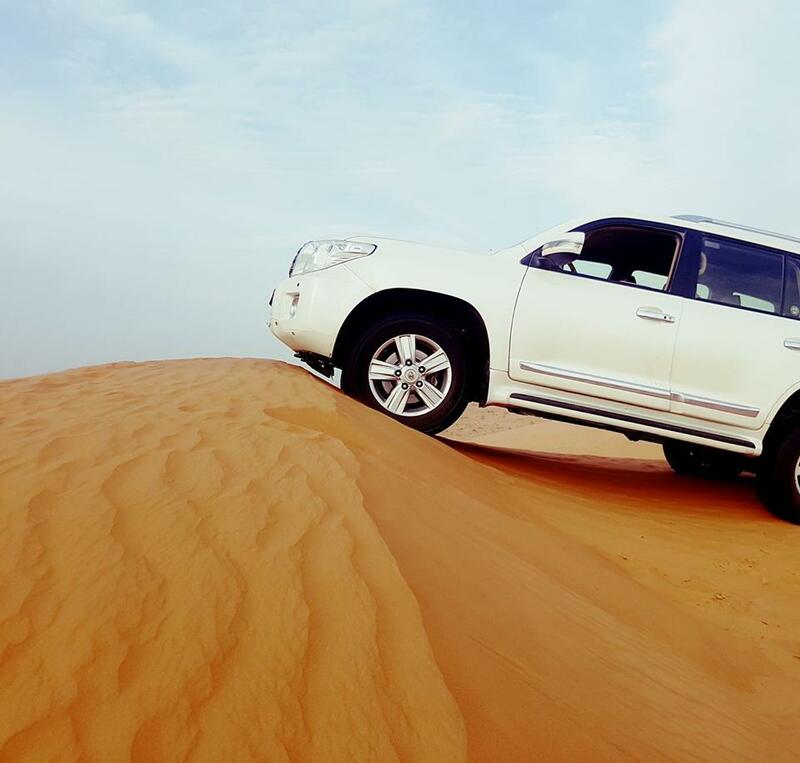 If you are in hurry but don’t want to miss the desert adventure, don’t worry just choose morning desert safari plan. Most adventurous tour with shinning sunrise scenery that makes all the sand look like small twinkling stars. Start your adventurous ride in the 4X4 vehicle on the sandy and bumpy area. Don’t worry it’s not a dangerous activity because vehicles are fully secured and drivers are well skilled. 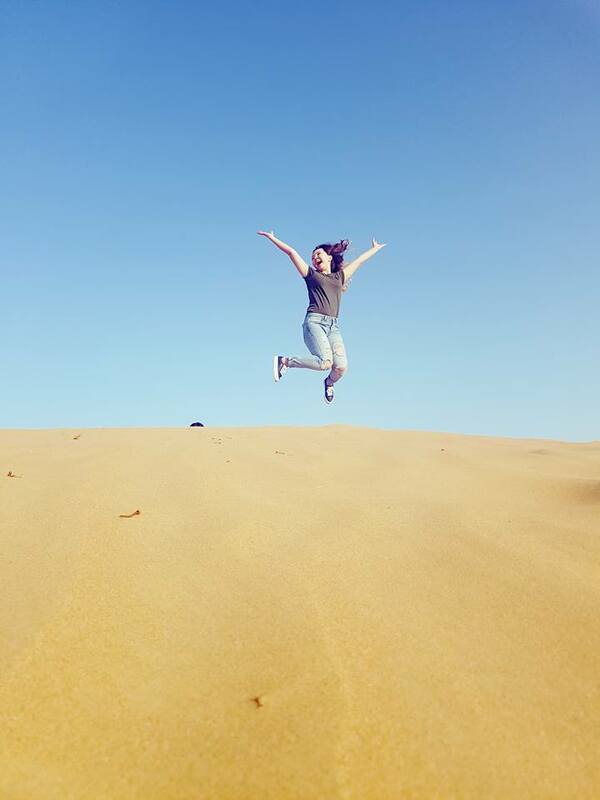 Just dive in the sea of sand and jump like a diver’s stunt. 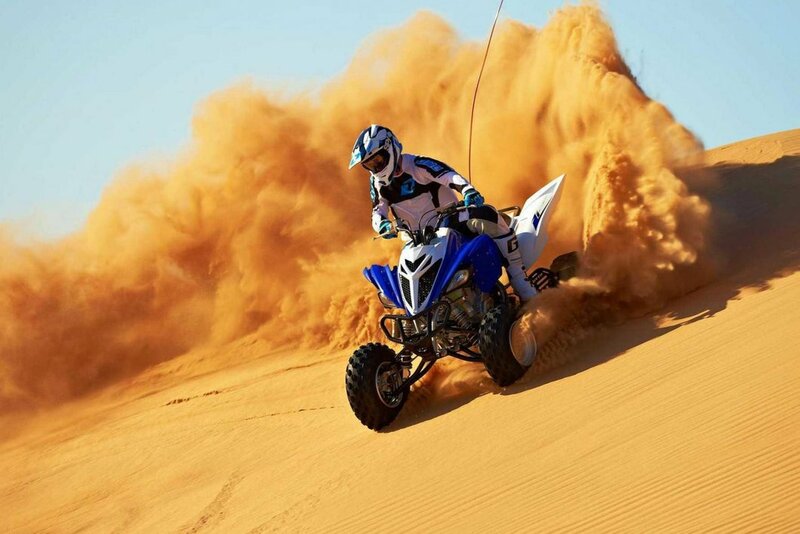 Another splendid activity in morning desert safari, enjoy high stunts of bikes with all safety measures. The guide helps you to instruct you about safety measures during this journey, wear your helmet and gloves to make your adventure secure. Morning safari is the best choice for the persons who are not interested in camp activities and dinner party in traditional style. If you want to view and capture sunset scene and watch how desert looks after spreading darkness all around. 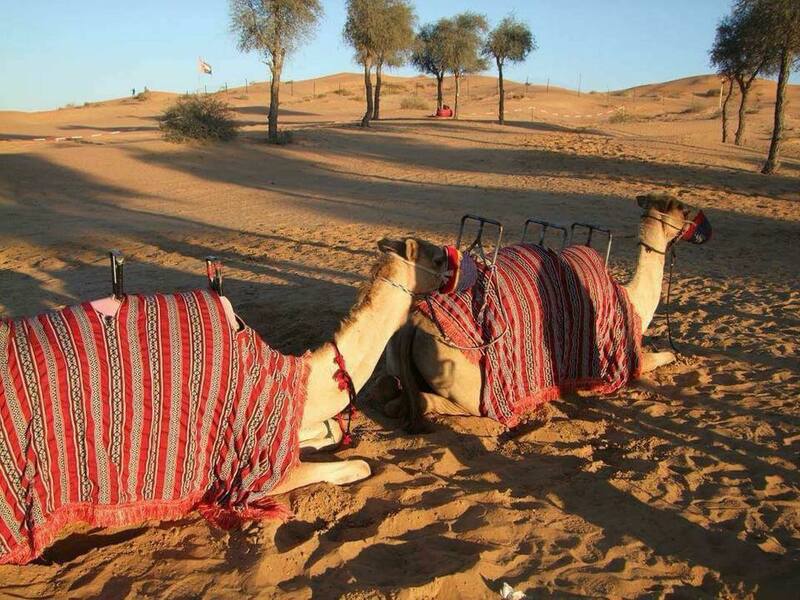 Give a try to the ship of desert, and experience how people from old era travel in deserts. This tour will be your loveliest experience of your life, guide update with all historical incidents of deserts to make you more familiar with the sandy world. Don’t hesitate to ride on this animal, camel is a peaceful creature. 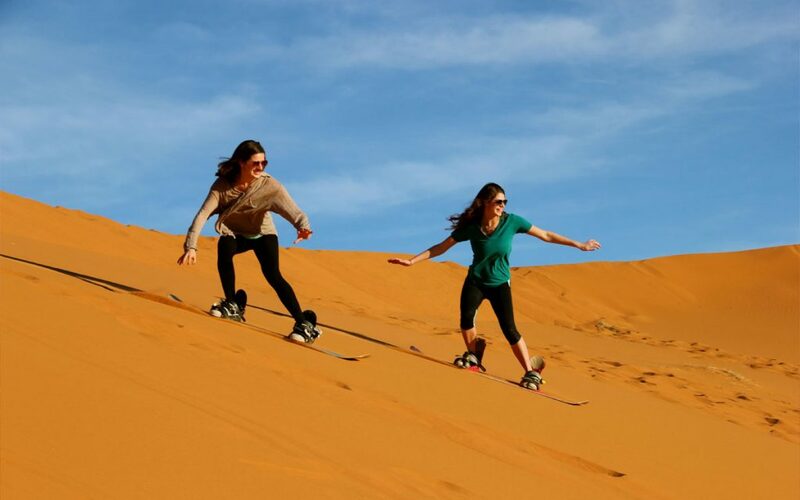 If you want to get the amusement like Ice boarding or snowboarding in the desert, be ready, dunes of the desert is waiting for your thrilling activity. Enjoy the bumpy and sandy speedy ride with full-on adventure, but quite risky for the kids. 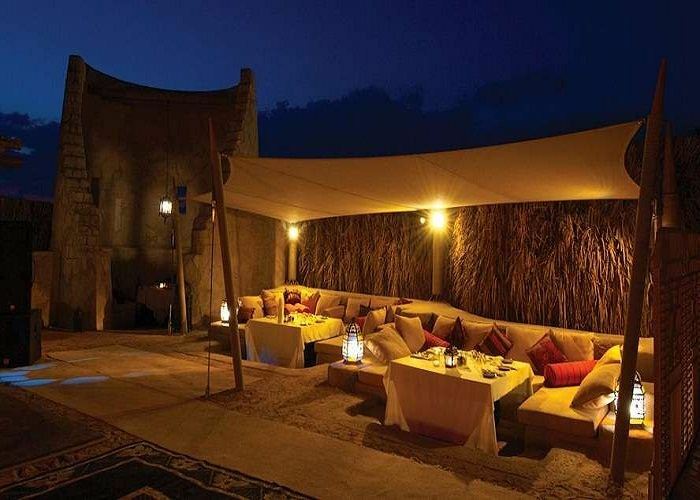 Evening desert safari is also included with shisha smoking and BBQ dinner. You can also enjoy the Henna painting in Arabic style. Belly dancer and Tannura dancers display the best steps of their performance. Remarkable experience with the dreamy night under the vast sky with all around the sandy desert. All the guests from different parts of the world welcomed warmly in the traditional way. Foreigner people like to have patterns on their hands. Traditional henna painting by expert designers which makes your hands more beautiful and customary. 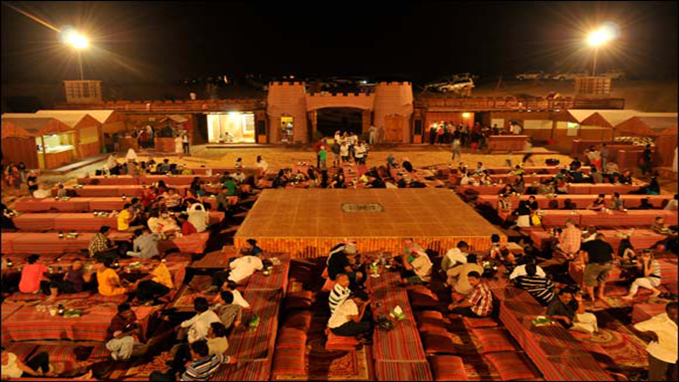 After entering in camps, there is very attractive sitting arrangement to enjoy belly dance of most beautiful ladies. Tannura dance is the specialty of the camp activities, this is basically Egypt folk dance in Arabian style. In camps, you are served with Arabic coffee, dates, snacks, and some complimentary drinks. And especially you are provided with yummy BBQ dinner. 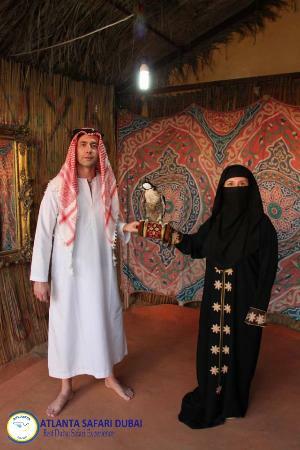 You may love to wear Arabian style traditional dresses and capture most memorable pictures of your life.